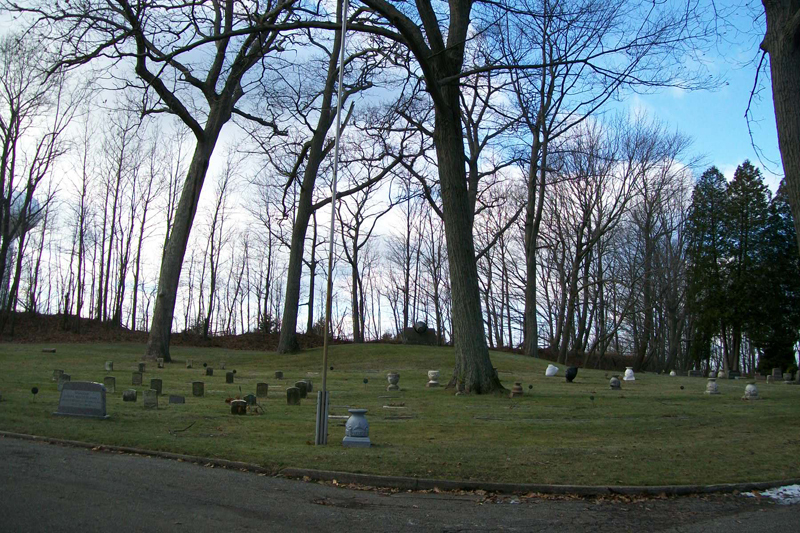 The Rodman Gun is mounted on concert in the veteran’s burial plot on the west center side of the cemetery overlooking Lake Michigan. 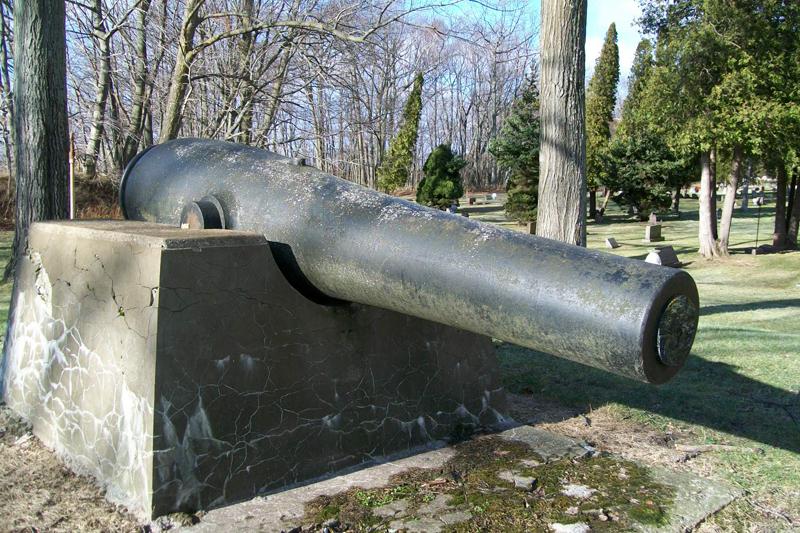 This is a sister cannon to the one located in Boyne City. 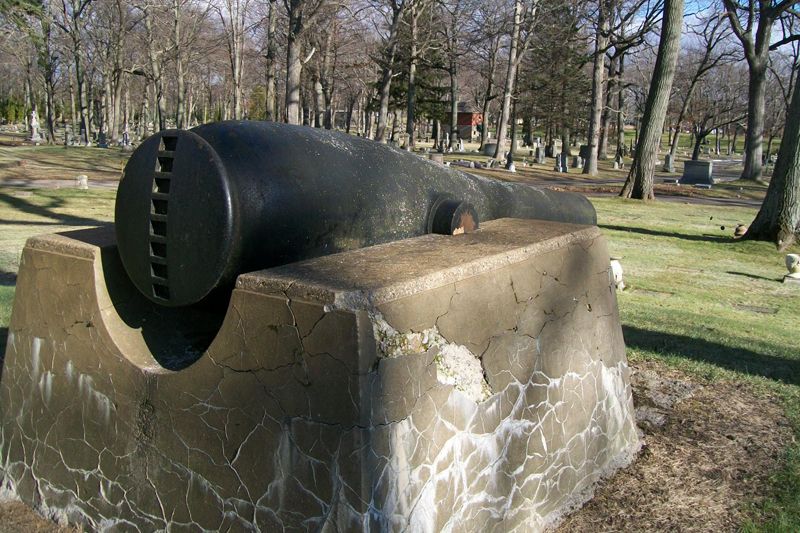 It is an 8 inch Rodman Gun, Pattern 1861. It was the 27th made by the Seyfert McManus & Co. foundry in Reading PA of this class. 184 were cast by all foundries & only 40 survive. The Boyne City gun is # 42 made by the same company. 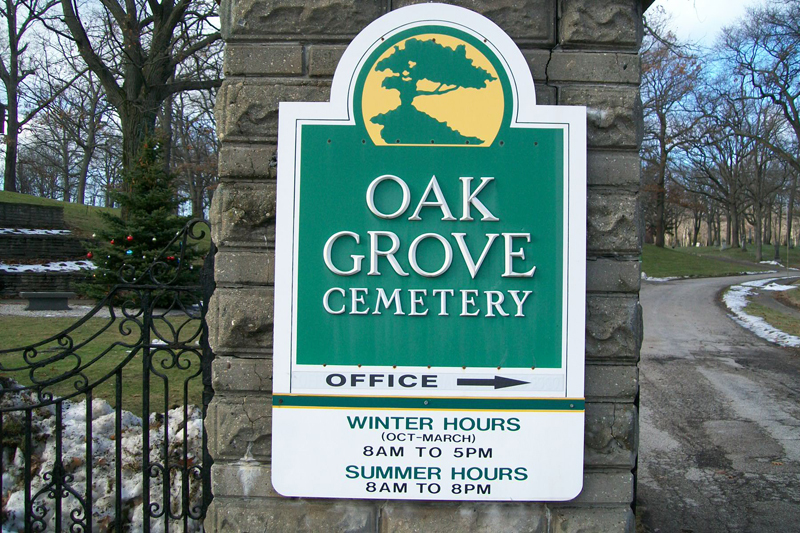 Civil War, Medal of Honor recipient, John Hyland, USN is buried in this cemetery.